Lemos NP. Amphetamines. In T. Kwong, B. Magnani, T. Rosano, P. Orsulak & L. Shaw (Eds. 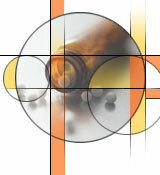 ), Clinical Toxicology Laboratory - Contemporary Practice of Poison Evaluation. Washington: AACC Press (2013). Lung DD and NP Lemos. Fentanyl: Cause of Death or Incidental Finding? Postmortem Peripheral Blood Concentrations with and without Documented Transdermal Patch Use. Forensic Toxicology 32(1): 118-125 (2014). Melinek J and NP Lemos. Forensic Considerations in Bariatric Surgery Patients, Academic Forensic Pathology 3(1):13-21 (2013). Lemos NP and EA Ingle. Cannabinoids in Postmortem Toxicology. Journal of Analytical Toxicology 35(7):394-401 (2011). Lemos NP. Methamphetamine and Driving. Science & Justice 49(4): 247-9 (2009). Lemos NP. Postcard from America - post-mortem forensic toxicology. Medicine Science and the Law 45(3):185-6 (2005). Lemos NP, F Bortolotti, G Manetto, RA Anderson, F Cittadini and F Tagliaro. Capillary Electrophoresis: A New Tool on Forensic Medicine & Science. Science and Justice 41: 203-210 (2001). Lemos NP, RA Anderson and JR Robertson. The Analysis of Methadone in Nail Clippings from Patients on a Methadone Maintenance Program. Journal of Analytical Toxicology 24(7): 656-660 (2000). Lemos NP, RA Anderson, R Valentini, F Tagliaro and RTA Scott. Analysis of Morphine by RIA and HPLC in Fingernail Clippings Obtained from Heroin Users. Journal of Forensic Sciences 45(2): 414-419 (2000). Lemos NP, RA Anderson and JR Robertson. Nail Analysis for Drugs of Abuse: Extraction and Determination of Cannabis in Fingernails by RIA and GC-MS. Journal of Analytical Toxicology 23: 147-152 (1999). Agarwal AK and NP Lemos. Significance of Bile Analysis in Drug-Induced Deaths. Journal of Analytical Toxicology 20: 61-63 (1996).